[Bozemon, Montana, USA] – Julian MacKay of Bozeman is beginning to look a bit like a young Mikhail Baryshnikov. “I’m not so sure,” says MacKay via Skype from Moscow, as he prepared to leave the city for another performance. Even if he shrugs off a resemblance to one of the finest male dancers ever, there’s no doubt MacKay appears to have a bright future in ballet. 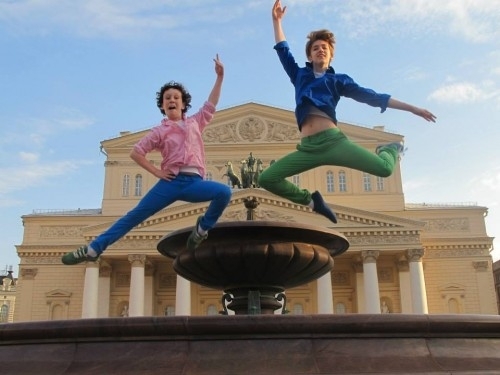 The 17-year-old MacKay studies at the Bolshoi Academy in Moscow, as does younger brother Nicholas. They live with their mother, accomplished photographer Teresa Khan MacKay, in a small apartment in Russia’s capital, just a few blocks away from the academy near the Moscow River, and not far from the seat of Russian government. Julian and Nicholas MacKay are focusing on dancing, so the frosty relationship between the United States and Russian governments has little effect on them. They speak fluent Russian; observers often are surprised to learn the teenagers are Americans. “Being here in Moscow, I really adapted to the culture,” Julian said. Ballet is a source of pride in a country where the Bolshoi is based, and during a holiday season in which “The Nutcracker,” a ballet by Russian Pyotr Ilyich Tchaikovsky, has been performed in many countries across the world. 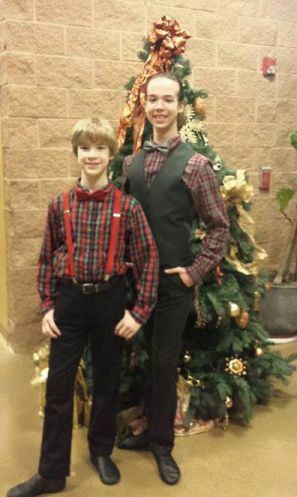 A Russian production of “The Nutcracker” was performed in Great Falls last week. Julian has close Russian friends. He likes to think his good relationships with fellow dancers, and the abilities he shows on stage, count for something. “I’m really happy to represent the United States at a time like this,” Julian said. The boys’ mother, Teresa, has noticed sanctions against Russia have driven up food prices, and sanctions also prompted several of Teresa’s American friends in Russia to pack up and leave the country. But despite such international tensions, Julian is poised to make history. “I will be the first (academy) graduate with a full Russian diploma” from the United States,” Julian said. 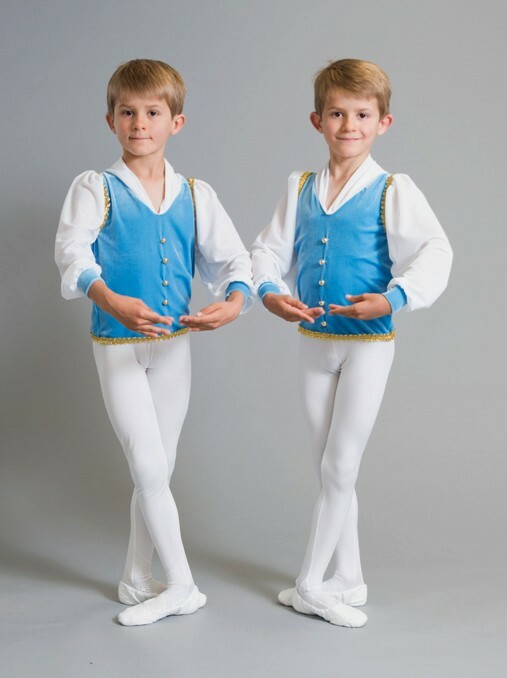 Living in Moscow and traveling around Europe is pricey, and Teresa said her family sincerely appreciates the sponsorship of Loren and Jill Bough of Big Sky, whose help has enabled the boys to continue to study dance in the heart of Russia. Julian hadn’t competed for prizes at dance competitions until the summer, when he embarked on a trip that gained him notice in the dance world. The first stop was Sochi, site of the 2012 Winter Olympic Games in Russia. 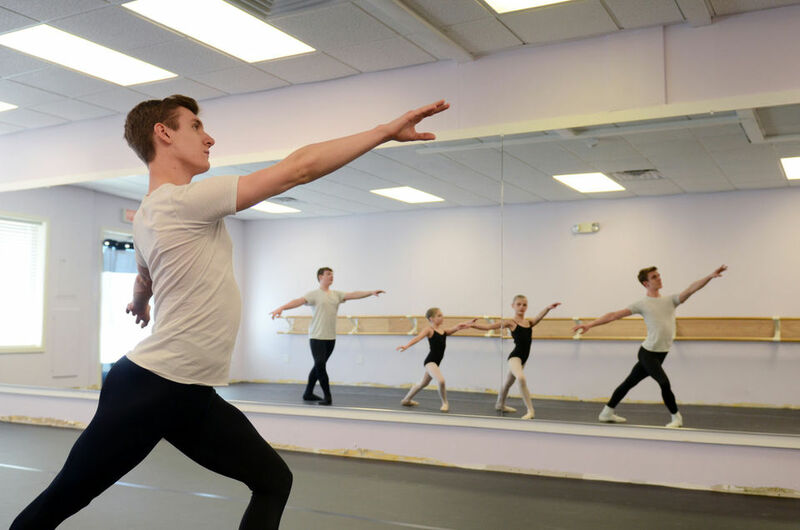 Julian was one of the dancers representing the Bolshoi Ballet Academy in the Yuri Gregorovich Ballet Competition in Sochi, which takes place every two years, and he garnered a bronze medal in his age group. “Sochi was a great experience,” Julian said. “She (his academy director) told me that she was so proud of me. For her, I was Russian.” He danced in four different genres — classical, Russian story, character and modern. Sochi was beautiful, and “the theater there is amazing,” Julian added. Neither Julian nor his mother got much sleep in the dash to Turkey. “I slept for maybe an hour,” he said. So you might expect an exhausted Julian to be a flop in Istanbul. Instead, Julian stayed focused and in the zone. “I was calmer and maybe more mentally prepared,” Julian said. He performed two dances in Turkey, a classical piece and a contemporary one, in each of two rounds. He received his prized from Vladimir Malakhov, director of the Berlin ballet company, where one of his sisters has danced. In fact, both sisters, Maria Sascha Khan and Nadia Khan, dance professionally in Europe. Talk about a dancing family. After the thrilling results in Turkey, Julian is six months away from graduating from the academy, where he has studied for six years. He would love to continue to dance in Russia for two years after he graduates; he already has offers. Julian has avoided serious injury; good training “is keeping me in one piece,” he said. Julian’s younger brother, Nicholas, is no slouch, either. Nicholas has three more years to go at the academy, assuming he meets the qualifications. He will take crucial exams next month and in May to determine if he will continue. Nicholas has a male teacher these days, and if he passes his tests he will advance to the academy’s upper level next year. In the meantime, he is immersed in dance. “I was a dancing tooth, and I changed onstage into a school boy,” Nicholas said. He performed in that play two years in a row. “He’s still very American,” his mother says. 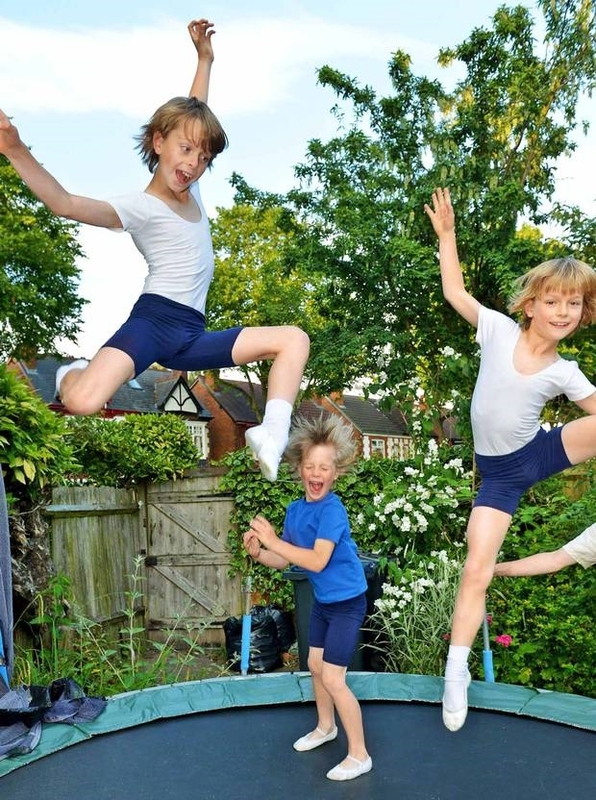 Nicholas is hoping to take part in dancing competitions as his brother has. 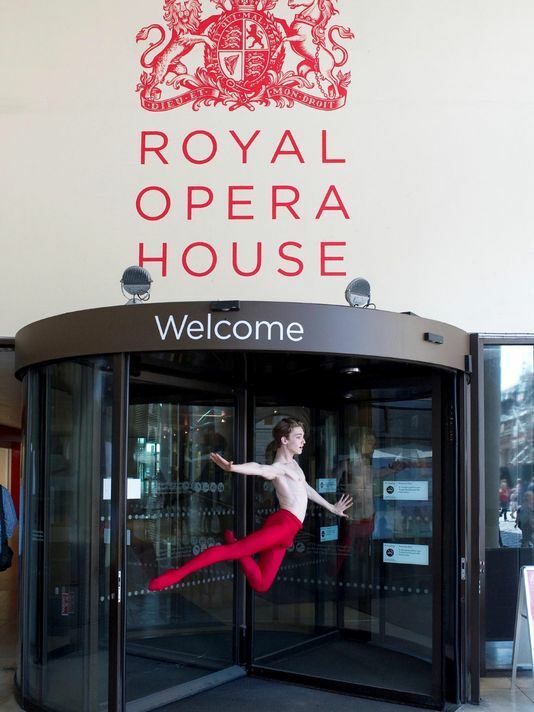 “In July, I went to the Royal Ballet School in London,” he said. While Teresa, Julian and Nicholas live in Moscow, Gregory MacKay holds down the fort in Bozeman. Video conferencing with Skype helps. 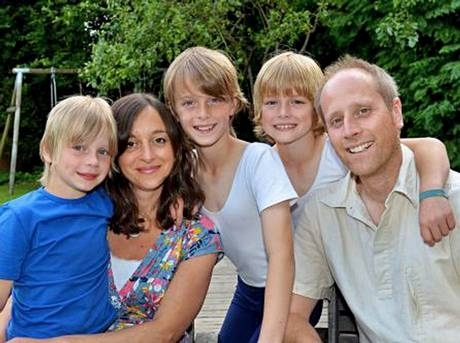 “They talk to their Dad on average a couple times a day,” Teresa said. “We miss our dogs.” She speaks a small amount of Russian. Julian got hooked on dance at age four in Washington, D.C., watching a ballet in which his sister performed. “You do see ballet families,” Teresa she said, although neither parent danced. What’s common among dancers who succeed is a drive to excel, she said. “That is one of the characteristics: wanting to do it better,” Teresa Khan MacKay said. [Denver, Colorado, USA] — Kids today have all sorts of sports and extracurricular activities to choose from. Ballet, in particular, is one that helps kids learn discipline and concentration. Most people think of ballet as a “girl” thing. 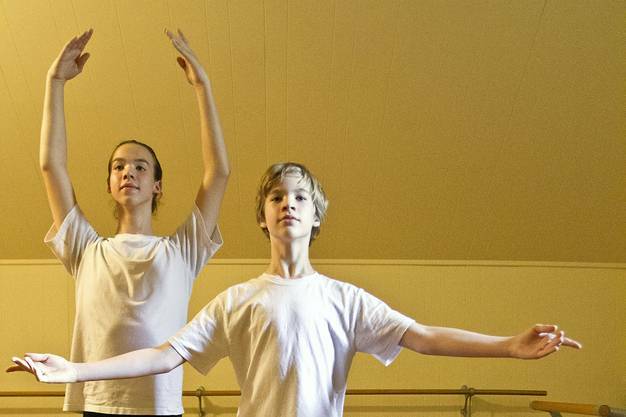 But twin brothers have made ballet their top priority.